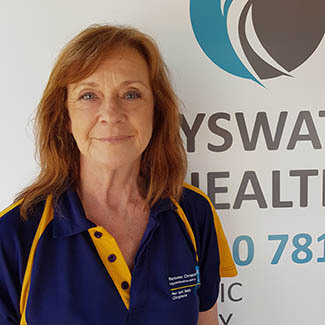 Robyn is an Accredited Specialist Clinical Hypnotherapist and Counsellor and offers over 25 years experience working with people in the health industry. Hypnotherapy permanently removes the blocks and limiting beliefs at the sub conscious level causing you to be stressed, depressed, anxious or overweight. Robyn’s motivation lies in watching people have their powerful transformations and transferring these into other areas of their lives. Robyn has extensive training and knowledge and draws on her years of personal experience as well as working intuitively with clients. She offers programs in Stress & Anxiety, Depression, Confidence, Study Assistance, Virtual Gastric Banding & Weight Loss, IBS, Trauma, Addictions and more! More recently Robyn trained with world renowned Hypnotherapist from the US, Joanna Cameron, in Drain That Pain, a Chronic Pain Elimination Process that has been used to eliminate the Chronic Pain in her own husband following a severe car accident 9 years ago. In his words "I got my life back"
Book your FREE half hour strategy session by calling Robyn on 0438 554 117. This is an obligation free session to discuss how Hypnotherapy can assist you on your journey and the most suitable program for you.